From a gambling perspective, Bitcoin is an answered prayer. It made anonymous betting and fast payments possible, and it even forwarded transparency through provable fairness. But flexibility is what sets it apart. Other than using it for daily purchases and online wagers, Bitcoin also takes the form of investments, which enables users to grow their funds through price movements. Forex and binary options trading have been providing traders with more financial opportunities, and their integration of Bitcoin into the system further makes investments profitable, simple, and convenient. 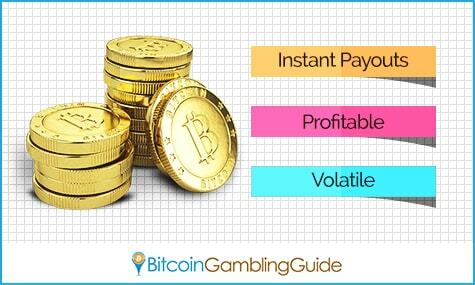 Trading using financial instruments online with Bitcoin proves that this digital currency is not all about gambling. Bitcoin can jumpstart the journey toward financial success. 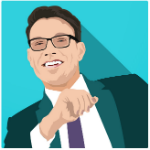 Using Bitcoin to unlock the potential to maximize profits in every contract is revolutionary. However, choosing the online trading platforms to deal with is essential in guaranteeing favorable results, regardless of trade losses. Licensed forex and binary options brokers should be prioritized since investing funds in the assets hosted on their platforms promises security and insurance unlicensed brokerage firms cannot ensure. The availability of various tools and functions is another feature to be considered in order to limit the risks of losses incurred from external factors affecting the market. Forex and binary options brokers like Plus500, 24Option, AnyOption and others are great choices for beginners and experienced traders to explore the financial opportunities awaiting them. More importantly, these platforms offer Bitcoin as one of the tradable assets, thereby giving all its members the chance to fully benefit from the rather volatile nature of Bitcoin. The Bitcoin price has always been unstable. While this is negatively perceived by some sectors within the Bitcoin ecosystem, forex and binary option Bitcoin traders take this as the perfect reason to indulge in investing in Bitcoin. However, the extreme volatility demonstrated by Bitcoin does not necessarily put forex traders at the advantage. Given that the price rapidly changes even in a span of a few seconds and the uncertainty of the fate of the digital currency’s price, buying long-term contracts proves to be inadvisable. On the other hand, this setup matches the short-term trades available in Bitcoin binary options. This instrument enables traders to open contracts that expire in as short as 60 seconds. The payouts are higher when using this option, but the same can be said about the risks involved. Hence, the 60 seconds trading instrument is designed more for the seasoned traders and those who are not afraid to lose in exchange for larger returns. Traders who prefer other expiry options may choose from several choices. 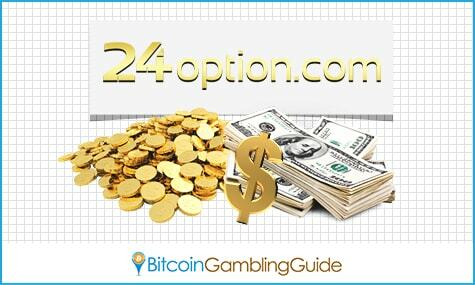 BTC Levels is a Bitcoin binary options broker that offers trades that lasts for an hour up to a day. Other than this, traders may explore the investment opportunities on other platforms like BeastOptions. The characteristics of Bitcoin opened a new dimension that showcases the innovative changes imposed on certain industries upon the use of cryptocurrencies. Bitcoin harnesses a global community of traders that enjoys the advantages of digital currencies. Among its evident features, its instability is rather the most beneficial to people investing their funds in short-term Bitcoin trades. However, in the event Bitcoin functions as the primary payment method, online forex and binary options traders can also explore their financial growth in an anonymous, transparent, and instantaneous setting. After all, Bitcoin amid stock market crash shows promises and potential to maintain growth and future.